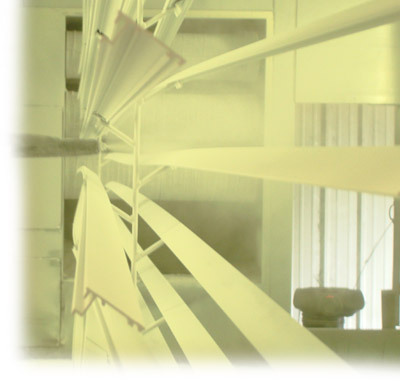 Metacoats is the first plant to be established in Kerala for powder coat painting. Established in the year 1988, the company holds state-of- the-art equipments from Ransberg Gema, Switzerland. The company is located in Manvila Industrial Estate with a built up space of 1200 sq meters spread around 1500 sq meters of land. 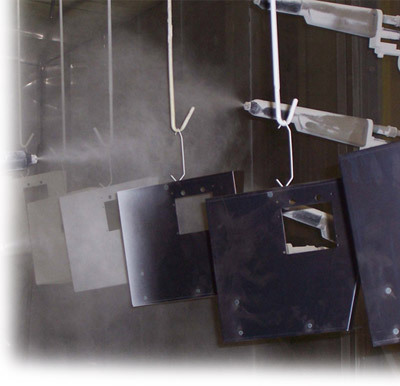 We have incorporated the best standard practices in the industry, powder coat painting of metals to Qualicoat Standards. Powder paints from Akza Nobel, Jotun, and Berger in various finishes and in pure polyester, epoxy and epoxy-polyester are used depending upon end product application. The fixed asset of the company amounts to around INR 2 million with an annual production capacity of 70000 sq meters of metal coating. We operate two shifts a day with trained manpower and dedicated power backup. Coat powders are available in any colour specified by the customer. The effluent from the pre-treatment process is scientifically treated and neutralized and the treated water is used for gardening, thus making the company environment friendly. These three components are mixed together in a Pre-Mixer. This mixture is then extruded in ribbon form and then fed to a Micropulveriser. 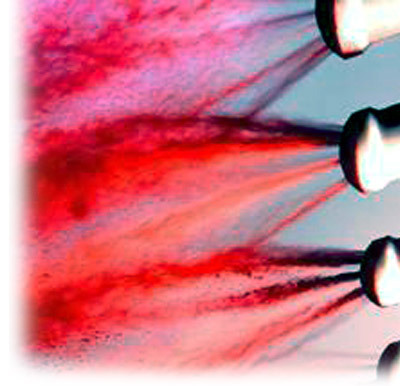 Powder with grain size 20-125 microns is taken for use in Powder Coatings. 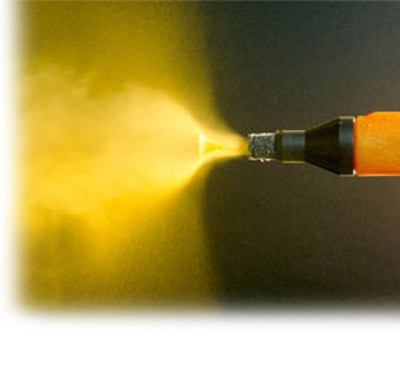 The average coating thickness for a good coating would be 50 microns. The job is first pre treated in a five tank phosphating for steel and chromating for aluminium. The pre treated material is dried and powder paint in epoxy, epoxy polyester hybrid, pure polyester resin is electrostatically sprayed on the object for the specified micron thickness. This is ensured by creating a potential difference between the job and the powder paint. 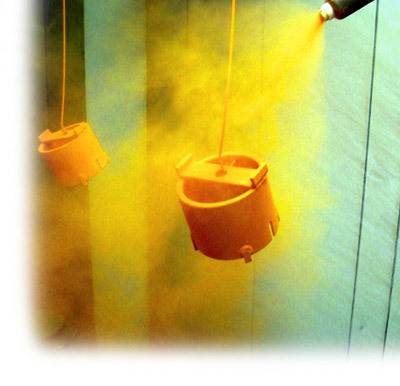 A closed booth ensures recycling of excess powder paint sprayed. The coated job is baked in an oven at 200�C for 10 minutes. Polymerisation takes place and the resin gets impregnated with base metal providing an everlasting finish. 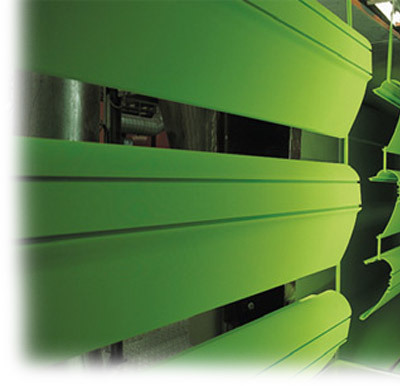 Aluminium Extrusions to be pre-treated in four tank system and powder paint of INTERPON / JOTUN make conforming to QUALI COAT standards to a minimum of 50 microns.